We’ve known Geoff a long time and its good to welcome a company with such depth and experience onto the team. GB Card & Partners are a UK-based team of experts, working both nationally and internationally to provide solutions to complex problems in a variety of challenging terrains and social environments. As consulting engineers Geoff believes in providing pragmatic, sustainable solutions which consider the project budget and the impacts on the environment. 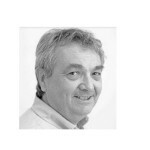 Dr Geoffrey B Card is an internationally recognised expert, having authored a number of key civil engineering papers as well as much of the UK guidance on ground gas and developing on landfill sites. Geoff’s team includes in-house chartered experts in the fields of civil and environmental engineering, geotechnics, infrastructure, land and groundwater quality.